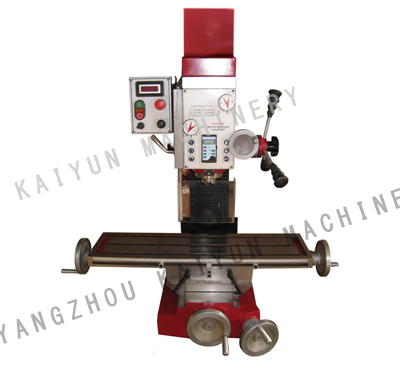 Kaiyun Machinery Company is a professional supplier of drilling milling machine based in China. 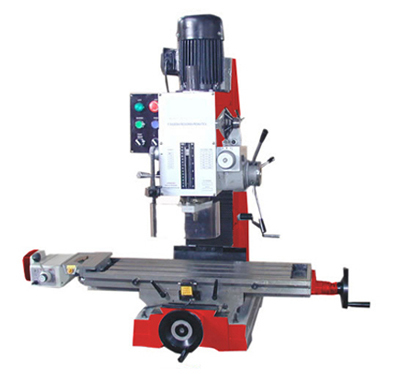 We can offer not only drilling milling machines, but also a variety of metalworking lathes and woodworking lathes, etc. 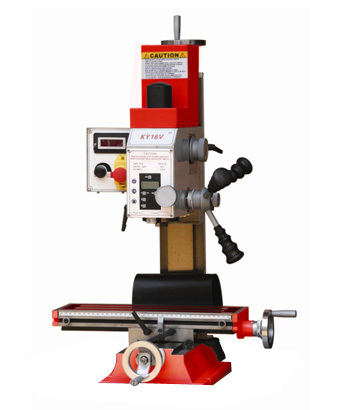 They are all CE certified, so you can feel secure in using our drilling milling machines. 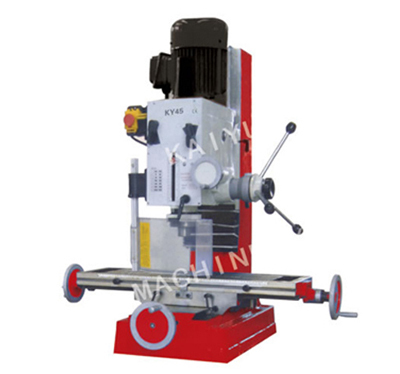 KY16V Drilling-milling machine is a portable machine widely used to shape solid products by eliminating excess material in order to form a finished product. 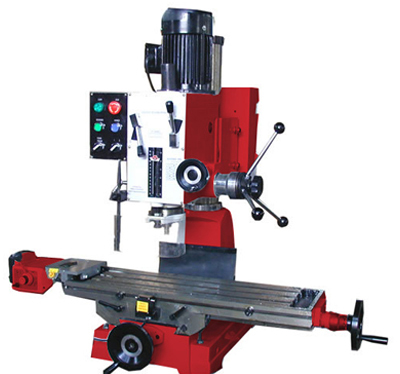 Milling machines can be used for a variety of complicated cutting operations – from slot cutting, threading, and rabbeting to routing, planning, and drilling. 1. 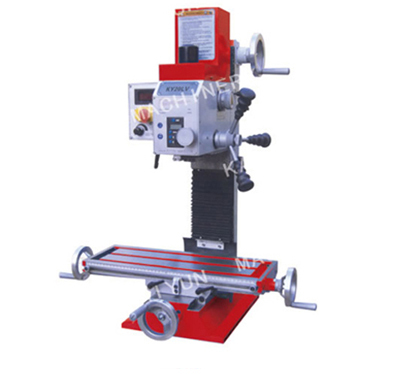 Drilling milling machine is compact, portable and affordable mini vertical drilling/ milling machine. 2. 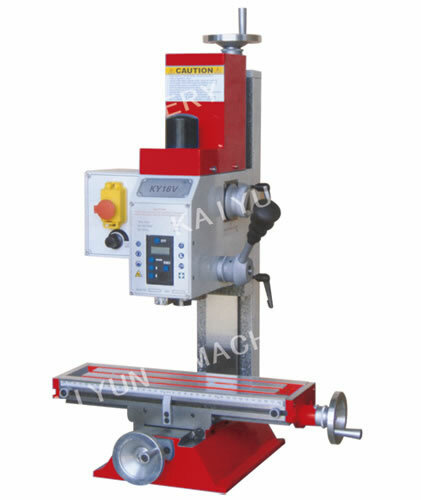 Its working speed is adjustable. 3. 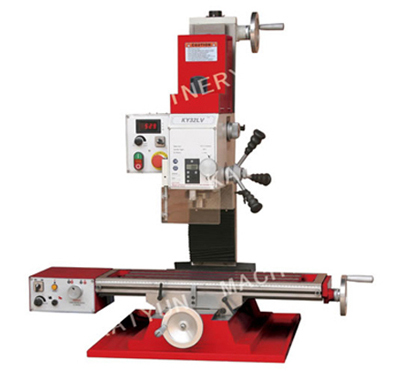 Spindle is stable and firmly supported by high taper roller bearing. 5. 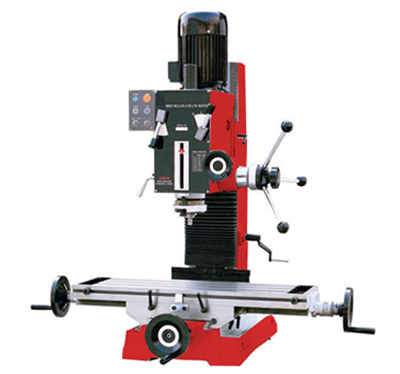 Mill head may be rotated to a radius of ±90°. 6. 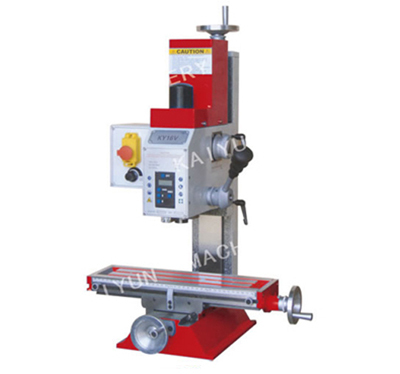 Have marvelous taper gibs which are adjustable. 7. Positive locks for table, head, quill, and column. 8. Electroplated with satin chrome finish with clear reading scale. 10. 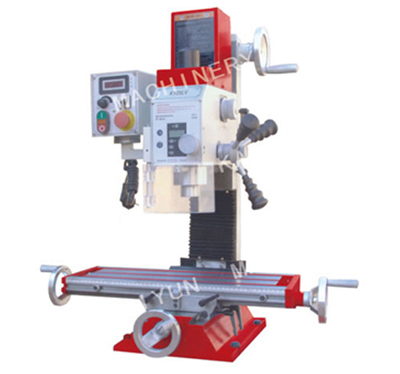 Milling head is manually adjustable in vertical direction.